After writing about firework safety yesterday, I got to thinking about firework alternatives and ways to keep the fun in the Fourth of July holiday for kids. We can all keep our kids entertained and safe this 4th of July by celebrating with one of these fun alternatives to fireworks. 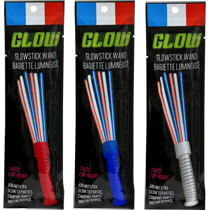 Kids will have a great time waving these wands around at parades or other 4th of July events. If you’re not in the mood to make something, you could also substitute a pom pom. 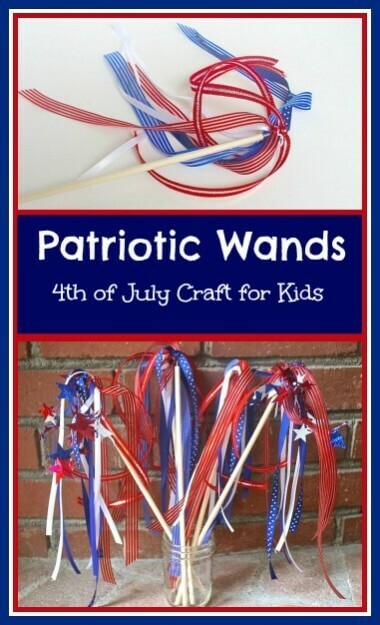 You can find the directions to make the cute patriotic wands in the photo at Buggy and Buddy. 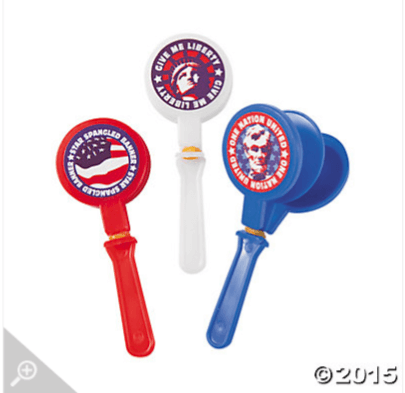 Kids can still make some noise this 4th of July with patriotic themed clappers. The ones shown are from Oriental Trading Company. This confetti cannon even looks like a firework! The confetti goes flying with a loud POP, and launches a spray of colorful paper streamers and confetti accents. You can find it at Party City. 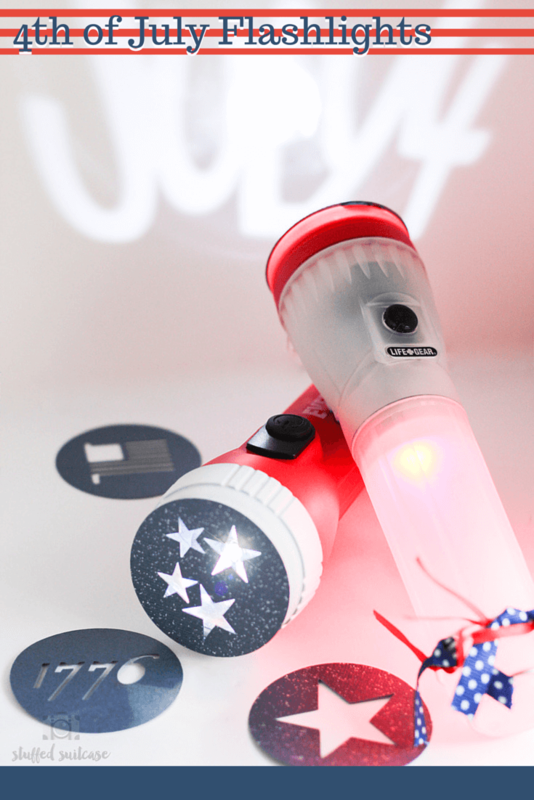 You can just use a regular flashlight and let kids twirl them around, or you can take them up a notch with this cute 4th of July themed flashlight by stuffedsuitcase. Glow sticks are a bit of a no brainer. Kids can twirl them around and get a similar affect to sparklers. And, they come in all kinds of fun shapes and colors these days. Dollar Tree has a particularly great inexpensive selection of them. Light up the night with glow bubbles at your next 4th of July party or event. They would be fun to use and entertain the kids while waiting for the “big show”. 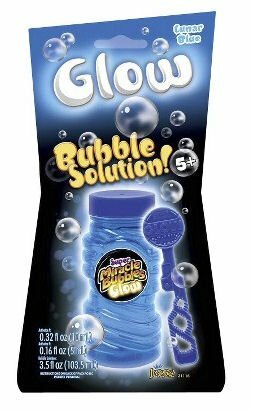 The bubble solution featured can be purchased on Amazon. Most kids just need something to hold and twirl around. 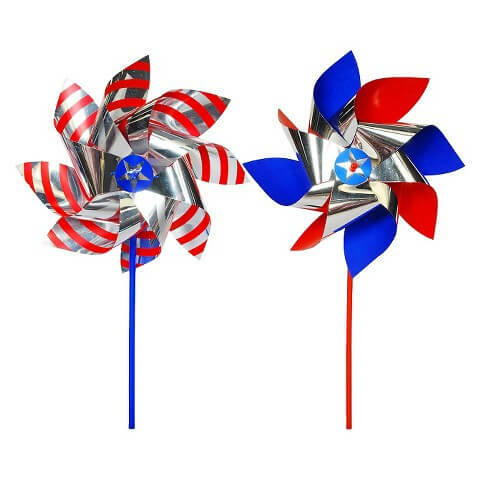 These patriotic pinwheels provide simple fun for younger kids. You can choose from an old fashioned foil pinwheel, or you can also find light-up versions. The pinwheels shown are from Target. What kid can resist a can of Silly Sting? They can still have fun “shooting” something off with “fireworks in a can”. Yes it’s messy, but not any more messy than regular fireworks. You can find Silly String in a variety of colors at Nobbies. A lot of kids (and adults) just don’t think it’s the 4th unless they’re setting something on fire. 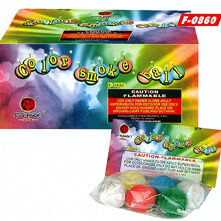 Smoke Balls can be “lit” and may even help to keep the bugs away! They can be found at most big box and retail stores. 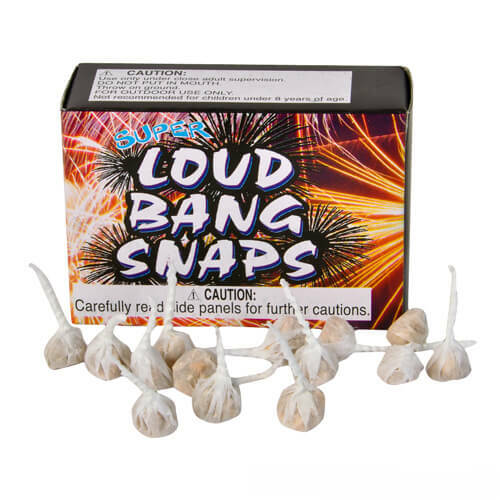 If your kids just have to hear the sound of a firecracker you can substitute with “snappers”. Kids can throw them or step on them to activate a crisp, loud, snapping sound. They can be found at most big box and retail stores. 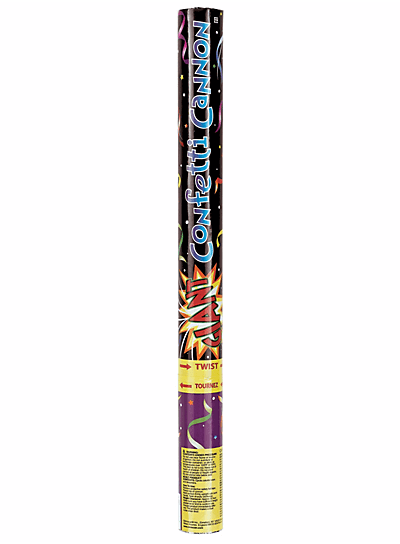 What are your suggestions for fun firework alternatives for kids?